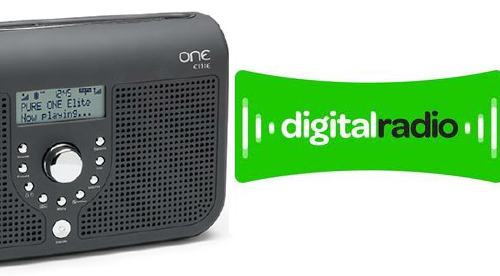 The full range of national commercial radio stations on DAB digital radio will become available for the first time in Northern Ireland from 11:00am, Friday 26th July. The launch day was confirmed by Digital Radio UK via Twitter on Tuesday. Arqiva, operator of the Digital 1 DAB multiplex will be switching on transmitters across the province, enabling listeners to tune into stations including Absolute Radio, Absolute 80s, BFBS, Smooth, Planet Rock and Team Rock on DAB for the first time. Digital 1 is already widely available across England, Wales and Scotland. The transmitter switch-on will bring national commercial digital radio to 74% of the population of Northern Ireland. The network will provide coverage for 1.3 million people from six transmitters: Divis, Carnmoney Hill, Derry/Londonderry, Brougher Mountain, Strabane and Limavady. It will broadcast on VHF block 11D. Classic FM, Kiss, Talksport and UCB, which have resided on Northern Ireland's local multiplex until now, will move across to the national Digital 1 multiplex, freeing up capacity for further services on Northern Ireland's local multiplex by the autumn. This could potentially allow stations such as U105 to make their DAB debut, if they were interested in acquiring capacity from multiplex operator Bauer Digital Radio. Listeners will have to rescan their DAB radios once the transmitters have been switched on. Listeners with the DAB versions of Classic FM, Talksport or UCB stored in their presets will need to re-store the services, so that the station name appears on the display, without the suffix "Old". The old versions of the stations will be switched off by September. That table looks really inspiring and mouth watering! Twelve channels in glorious mono and two in joint stereo. I certainly won't be disconnecting my satellite box from my hi-fi any time soon.